Introducing ME Miami. More than a place to stay. A place to be. 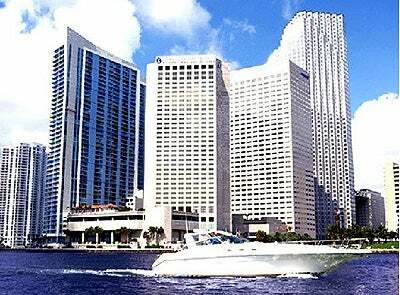 Enjoy up to 20% off the best available rate when you stay at ME Miami, steps away from the AmericanAirlines Arena. 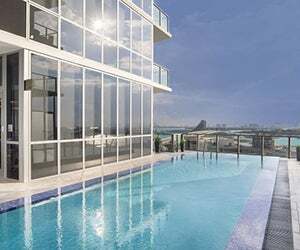 ME Miami offers 129 amenity-rich rooms including 21 spectacular suites featuring gorgeous views of Downtown Miami and Biscayne Bay. 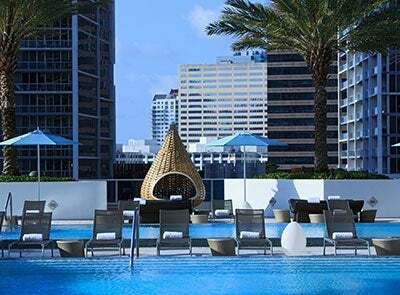 Enjoy 20% off the best available rate when you stay at the luxurious EPIC Hotel, located waterfront in Downtown Miami within walking distance of the American Airlines Arena. The hotel, which is highly rated on Trip Advisor, offers extraordinary views from each guestroom’s private balcony, indoor and outdoor dining in Area 31, spacious 16th floor rooftop pool deck and renown mind body spa, Exhale. Savor the best of this colorful city by staying at the InterContinental Miami, located just blocks from AmericanAirlines Arena and boasting 641 luxurious guest rooms and suites. In addition, discover a new benchmark for luxury, relaxation, and service at mySpa. Offering world-class spa treatments, cutting-edge fitness equipment, and personalized attention, we have created an incomparable Miami spa retreat. Present your American Airlines Arena ticket stub pre- or post- show/event/game to receive your first drink of house spirits, wine or beer on us. This is only valid at Toro Toro. Stay at the all-new SLS Hotel South Beach and receive 20% off your room rate and two cocktails at Hyde Beach per stay. 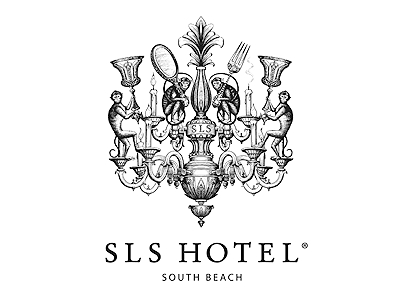 Located in the heart of South Beach, SLS Hotel offers a heightened guest experience with its immaculate service, impeccable design, varied dining options and luxurious atmosphere. Designed by the imaginative, Philippe Starck, guest rooms offer sleek yet luxurious comforts in an artistic setting. Dining and nightlife options include The Bazaar by James Beard award-winning chef, José Andrés, Katsuya by Master Sushi Chef Katsuya Uechi and Hyde Beach, a playful indoor/outdoor space located oceanside.